XMLBlueprint has multiple views for optimal support of your XML editing. To show the view(s) you need, choose: View > name of the view. • Multiple Editors in which you can edit all types of text documents. 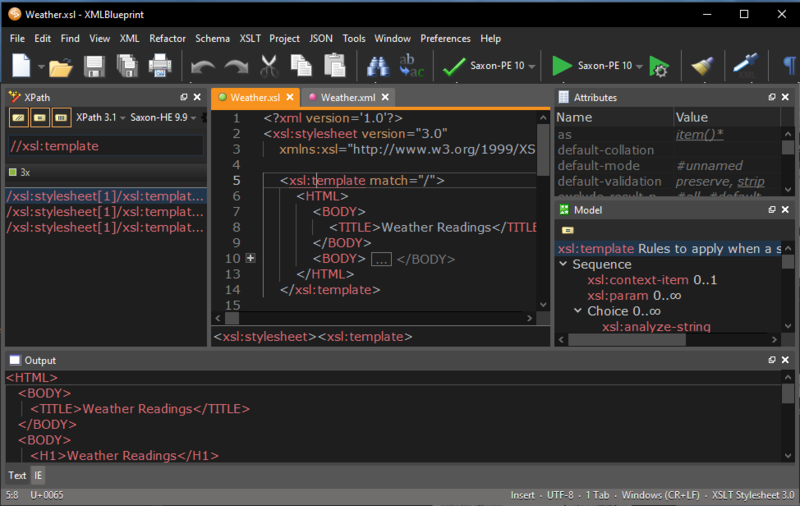 • XPath view for evaluating XPath expressions. • Toolbars and Status Bar. The positions and sizes of these windows can be customized to your needs by dragging and resizing them. Positions are saved over edit sessions, so you have to customize your windows only once.